Last October, Lion Air Flight 610 crashed after take-off from Jakarta, Indonesia. The aircraft was a Boeing 737 Max. The crash killed all 189 people on board. On March 10th, Ethiopian Airlines Flight 302, also a Boeing 737 Max, also crashed minutes after takeoff. That crash killed all 157 people on board. These catastrophes are a stark reminder of the dangers of air travel. Although plane crashes have been rare in recent years, when they happen, the result is almost always fatalities and catastrophic injuries. WHERE CAN PLANE CRASH VICTIMS AND THEIR FAMILIES TURN FOR HELP? If you are injured in a plane crash, or if someone you love has been injured or killed in one of the recent airliner accidents, speak at once to an experienced Chicago personal injury attorney at Phillips Law Offices. 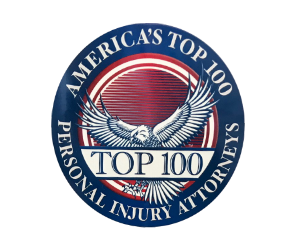 The award-winning attorneys at Phillips Law Offices have obtained record settlements and verdicts on behalf of wrongful death survivors and personal injury victims. Our skilled legal team is led by Stephen D. Phillips, a former president of the Illinois Trial Lawyers Association. ARE THERE ANY SAFETY STEPS THAT AIRLINE PASSENGERS CAN TAKE? – Take non-stop flights when you can. Statistically, non-stop flights are safer than trips with multiple take-offs and landings. Crashes are more likely to happen just after take-off or just before a landing. – When you fly, review the safety features of the plane, know where the exits are, and pay attention to the safety instructions. – Alcohol slows your responses and clouds your judgment if an emergency arises, so drink only moderately (if at all) when flying. – Leave your seat only if it’s necessary. If you’re walking around in the cabin and the plane hits turbulence, you are likely to suffer a personal injury. CAN YOU PREVAIL WITH A WRONGFUL DEATH CLAIM OR AN INJURY CLAIM? – The negligence of the airline caused the crash. – Defective equipment or defective equipment design caused the crash. – Some other deviation from standard safety routines and procedures caused the crash. Investigators have pointed to the Boeing aircraft’s controversial automated flight control system as a possible cause of the Ethiopian Airlines Flight 302 crash. They’ve determined that the plane was not struck by a foreign object, and they believe that the pilots followed correct procedures. The same automated flight control system has been cited by investigators as a cause of the October 2018 crash of Lion Air Flight 610. HOW WILL A PERSONAL INJURY LAW FIRM FIGHT ON YOUR BEHALF? If you believe that you have a wrongful death claim or a personal injury claim against an airline or an aircraft manufacturer, let an experienced Chicago personal injury attorney review the details of your case and provide the sound, reliable legal advice you need. Your first consultation with an attorney at Phillips Law Offices costs you nothing and obligates you to nothing. If you file a wrongful death claim or a personal injury claim, you pay no attorney’s fee until a settlement or judgment is obtained on your behalf. If you are injured in any plane crash or aircraft-related accident, speak at once to an attorney at Phillips Law Offices. Call (312) 248-0016 or reach us online at www.phillipslawoffices.com/. If you are an injured victim of someone else’s negligence, we can help.